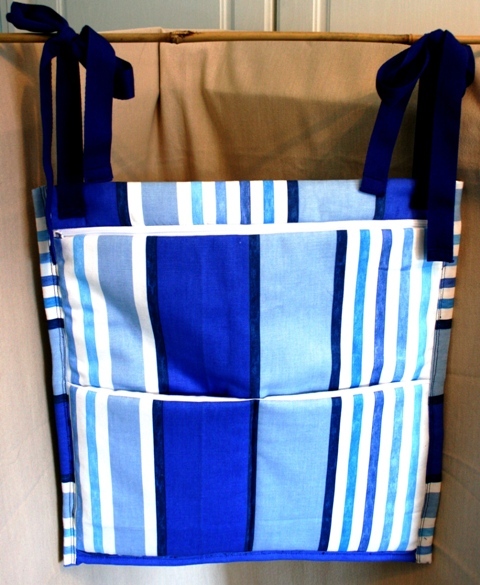 A hand made bag, suitable for use on the back of a wheelchair or buggy. 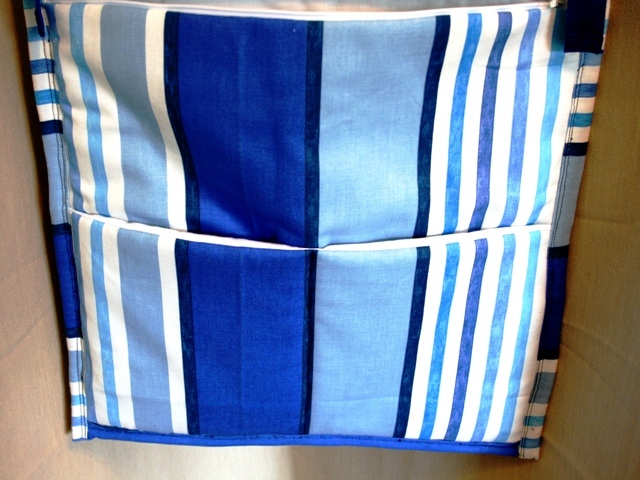 In a blue striped heavyweight fabric, fully lined, with a large zipped section and two front pockets. 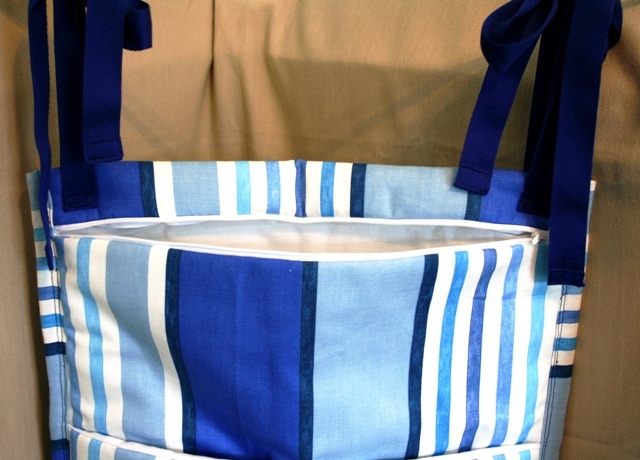 There are two strong ties to fasten onto the handles.